There’s a famous quote about people not remembering what you said but only what you made them feel. I’ve always felt this is equally applicable to books. It is not the structure or the grammar but the voice of a book, the story it tells and how it connects to you personally. Eleanor Oliphant is awkward and judgemental and even unpleasant at times, but her flaws, her feelings and her (occasionally very dark) humour feel so real. 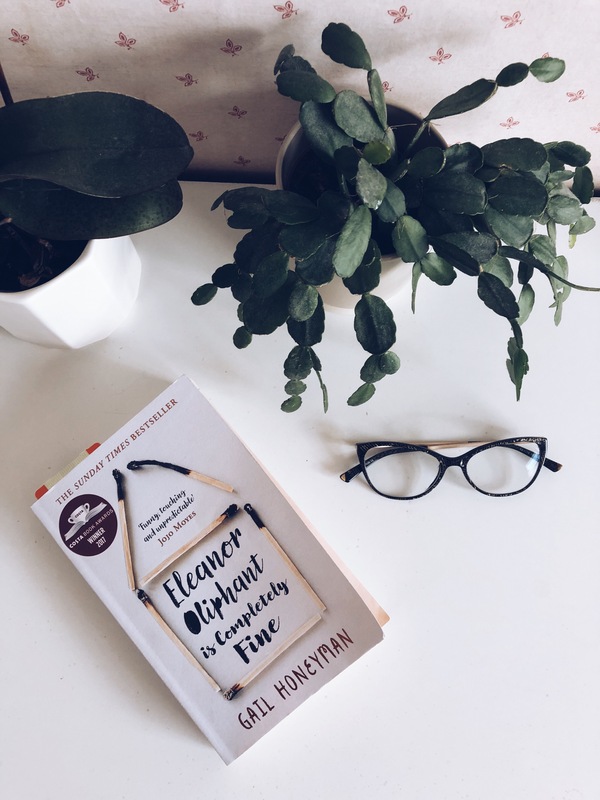 Honeyman writes about extreme experiences and situations in a way that make them relatable – who hasn’t felt lost or isolated or out of place at some point? Who hasn’t had a moment where they needed someone else to remind them that they deserve to be happy too? She also makes you laugh, which is a massive achievement given the subject matter. And Eleanor loves books, especially ones with dogs in…so I’m completely sold! Winterson describes this book as a work of fiction based on her childhood. It is beautifully written and funny and moving. A young girl who’s upbringing by an Evangelist mother makes it difficult for her to accept her sexuality, It is about feeling that you don’t quite fit in, not being sure of yourself and at the same time being sure you are not fully able to be yourself. I love the way chapters wander into fairytales just as children do when they want to escape. There are also fantastic reminders of growing up in Britain in the 60s/70s (which is a nice nostalgia trip for those of us who grew up then or grew up hearing about it). My copy is full of sweet wrappers (orange Clubs and Penguins) where there were quotations I wanted to remember. In the library I felt better, words you could trust and look at till you understood them, they couldn’t change half way through a sentence like people, so it was easier to spot a lie. Whelks are strange and comforting. They have no notion of community life and they breed very quietly. But they have a strong sense of personal dignity. Even lying face down in a tray of vinegar there is something noble about a whelk. Read: While on a mini-break with friends in the Cotswolds (cos I’m sociable like that) and finished the evening I got home. Felt: drawn in, entertained, amused, heartbroken. All the things. And so very grateful that people are much more accepting, or openly able to be themselves in glorious technicolour now. The bookshop owner said she’d just finished this and kept accidentally referring to it as ‘Bad Behaviour’ which I think says it all. Everyone here functions on their own terms and for their own ends. The art of Keane’s writing is that she has created characters that do awful things but seem not to be completely awful themselves. People do things mistakenly, out of misjudged love or hope or impulse. There is a lot of love but it is often either miscommunicated or misunderstood. There are also a lot of caricatures and absurdities but they hardly stand out in the bizarre world we are thrown into. We see it all through the eyes of Aroon, the daughter of an aristocratic Irish family in the early part of the 1900s. Aroon doesn’t always quite understand what is going on around her, initially because she is a child and later perhaps because she continues to be treated like a child. This does mean that you are never entirely sure what is actually going on which just adds to the oddness. There is something so basic and understandable in Aroon’s yearning to be loved that you struggle to judge her too harshly. No-one in this is wholly good or bad or even sane, but despite them being bonkers they are occasionally very insightful or relatable. Read: while ‘snowed in’ and therefore forced to sit on the sofa, read and eat biscuits – it’s a hard life. Felt: so bombarded by absurdities so that by half way through I was startled every time anyone seemed to have any sense or do anything normal. Would recommend: this is a quick and interesting read. Because the narrator doesn’t always understand what is going on you have to do a bit of guesswork which actually makes it quite an engaging read. This book is one of my favourites. I’ve read it repeatedly since first being introduced to it at school. It is beautifully written and Plath’s prose is as poetic as her poems. She has a knack for capturing the essence of anything in just a few lyrical words; from a thought or feeling to a whole situation or personality. It is one of the few books I have read that portrays someone with serious mental health issues and manages to emphasise the severity of their experience alongside their humanity, or ‘normality’ if you will. Esther Greenwood may be increasingly detached, depressed, delusional and struggling to engage with the world around her, but she is still just a girl who loves a bath. There must be quite a few things a hot bath won’t cure but I don’t know many of them. And just try to tell me you have never stood somewhere beautiful, looked around and felt this.. This was a great romp of an adventure story, with a bit of falconry, a trip to Scotland and a remote island thrown in. I loved it but I know that’s mainly because it is a mix of all my favourite things so I’m not recommending you rush out and track this down! Reading the notes on the author, John Buchan not only wrote the 39 steps but published FIVE books while at university. This man came from a family that was not at all wealthy, attended grammar school in Glasgow and was awarded scholarships to the University of Glasgow (which is beautiful) and then to Oxford where he couldn’t even afford to dine in college – and yet he ended up Governor-general of Canada. From the way this man describes grand landscapes and being outdoors, I bet that country suited him just fine! In all honesty, I don’t know that much about Woody Allen other than some people find him funny. I love a funny book and so picked this up as an antidote to the excellent but sad book I was reading at the time. While I did find this book amusing, in a wry smile kind of way, it was also hard work. Allen’s writing is pretty laboured, full of long convoluted sentences that are very clever but in a ‘look at me I’m writing something wonderfully clever and wildly amusing’ style. I prefer the understated sort of humour that sneaks up on you and makes you laugh out loud. Thank goodness this is a short story collection because I could only muster the required energy to wade through it in short stints. The stories were interesting, neat little jibes at the weird world we live in – often based on short news clippings. And they were really quite clever, I just wish they didn’t have to make such a laborious display of it.